Charles Green Shaw was born into a wealthy family in New York in 1892, but he was orphaned during childhood. After graduating from Yale University, Shaw studied architecture for one year at Columbia University. However, throughout the 1920s, Shaw became a successful freelance writer for The New Yorker, Vanity Fair, and other publications. His area of focus was cultural happenings around town. Shaw also produced poetry and novels during this period. 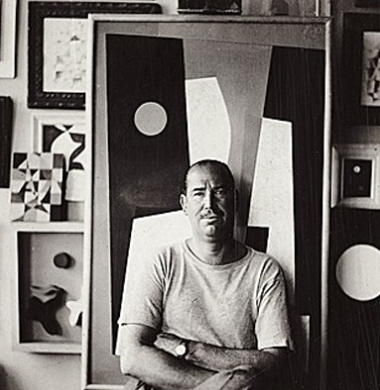 Later in the 1930s, Shaw exhibited his burgeoning abstract oeuvre at various galleries in New York and Paris. Along with common painting materials, Shaw explored the potential of wood relief works. He hoped to open abstract art to three dimensions and consequently generated exploded views of various shapes. While continuing his artistic and critical efforts to expand the reach of abstract art, Shaw branched out into photography and children’s books. 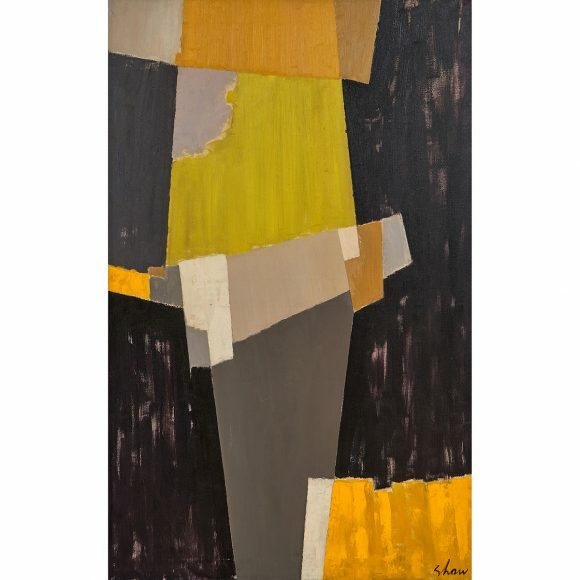 In the 1950s, Shaw gravitated toward Abstract Expressionism, but his style again grew more minimal, yet graphically inclined, in the 1960s up to his death in 1974. His works today are part of various important collections, including those at the Art Institute of Chicago and the Guggenheim Museum and the Metropolitan Museum of Art in New York.